Athbhliain faoi sheán agus faoi mhaise agus fáilte go dtí an dara eagrán de Nuachtlitir Chomhar Dún Chaocháin Teo. Chuir clanna, lucht tacaíochta agus an pobal i gcoitinne fáilte mhór roimh scaoileadh saor Micheál Ó Seighin, Willie Ó Corrdhuibh, Brendán Ó Cuilibín, Vincent Mac Graith agus Philip Mac Graith (nó Cúigear Ros Dumhach mar is fearr aithne orthu) ó phríosúin Chnoc na Seimre, tar éis dóibh 94 lá a chaitheamh ann. Tá neart ábhar le réiteach go fóill áfach i bhforbairt togra Gháis na Coiribe. Tá an coiste i mbun pleanála faoi láthair ar phlean forbartha cúig bliana (2006-2010) do pharóiste Chill Chomáin. Ag cloí le haidhmeanna na heagraíochta beidh (a) caomhnú agus cuir chun cinn na Gaeilge agus cultúr na háite i chuile ghné de shaol an phobail agus (b) forbairt acmhainní nadúrtha agus daonna an cheantair ar bhealach comhtháthaigh, ina gnéithe tabhachtacha sa phlean. Béimid ag dul i gcomhairle leis an bpobal lena moltaí agus a dtuairimí a fháil go luath. Welcome to the second edition of Comhar Dún Chaocháin Teo’s Newsletter and we wish you all a happy and healthy new year. The release of Micheál Ó Seighin, Willie Corduff, Brendan Philbin, Vincent McGrath and Philip McGrath (otherwise known as the Rossport Five) from Cloverhill Prison, after spending 94 days incarcerated, was greatly welcomed by their families, supporters and the entire community. However many issues have yet to be resolved in the matter of the Corrib Gas project and we will be keeping an eye on further developments in 2006. The committee are in the process of preparing a five year development plan (2006-2010) for the parish of Cill Chomáin. In keeping with the key objectives of the organisation the plan will seek to (a) preserve and promote the Irish language and culture in every aspect of community life and (b) develop in an integrated and sustainable way the natural and humanresources of the area. We will be inviting submissions from the public in the near future. Tá oifig na heagraíochta lonnaithe sa Seanscoil i gCeathrú Thaidhg, áit a bhfuil eolas agus foirmeacha iarratais ar fáil faoi scéimeanna éagsúla mar shampla feabhsú tithíochta, bóithre portaigh, scéim feabhsúcháin áitiúil an Chomhairle Chondae, deiseanna traenála arl. Tá seirbhísí cóipéala, laminating agus facs le fáil ann chomh maith. The organisation’s office is located in the Seanscoil, Ceathrú Thaidhg, where information and application forms are available on various schemes including home improvement grants, repair of bog roads, training opportunities etc. Photocopying, laminating and fax services are also available here. Ó cuireadh an comharchumann ar bun tá eolas / cuidiú curtha ar fáil do choistí éagsúla deonacha maidir le forbairt agus bainistiú tograí agus aimsiú foinsí maoinithe ina measc C.L.G. Chill Chomáin (dréachtadh iarratas le haghaidh Scéim Fostaíochta Pobail agus plean oibre le haghaidh an Scéim Shóisialta Tuaithe), Mná Ghleann na Muaidhe Teo (E40,000 ceadaithe faoi Chlár Deontais d’Eagraíochtaí Áitiúla Deonacha agus Pobail na Roinne Gnóthaí Pobail, Tuaithe agus Gaeltachta le díon nua a chur ar an ionad pobail), Naíonra Dhún Chaocháin (deontas foirne de E114,541 agus deontas chaipitil de E22,630 ceadaithe ón Roinn Dlí, Cirt, Comhionannais agus Athchóirithe Dlí), Naíonra Ghleann na Muaidhe (deontas foirne de E155,492 agus deontas chaipitil de E218,090 ceadaithe ón Roinn Dlí, Cirt, Comhionannais agus Athchóirithe Dlí), Club Óige Bhéal Déirg (E5000 ceadaithe faoin AIB Better Ireland Programme le trealaimh óige a cheannacht) Comhlucht Pobail Bhéal Deirg Teo (E24,464 ceadaithe ón Roinn Gnóthaí Pobail, Tuaithe agus Gaeltachta chun trí bhóthar portaigh a dheasú) agus Bantracht Dún Chaocháin (E2,500 ceadaithe ón Roinn Gnóthaí Pobail, Tuaithe agus Gaeltachta le trealaimh cistine a cheannacht). Since the co-op was set up it has provided information / assistance to various voluntary groups in relation to developing and managing projects and securing funding. 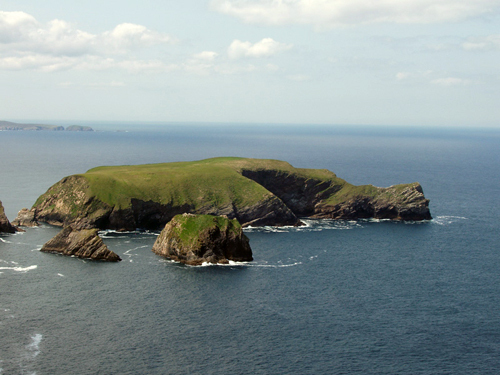 These include Cill Chomáin G.A.A. (prepared an application for a Community Employment Scheme and submitted a workplan for the Rural Social Scheme), Glenamoy Womens Group Ltd (secured funding of E40,000 under The Department of Community, Rural and Gaeltacht Affair’s Programme of Grants for Locally-Based Community and Voluntary Organisations to replace the roof on the community centre ), Naíonra Dhún Chaocháin (secured a staffing grant of E114,541 and a capital grant of E22,630 from the Department of Justice, Equality and Law Reform), Naíonra Ghleann na Muaidhe (secured a staffing grant of E155,492 and a capital grant of E218,090 from the Department of Justice, Equality and Law Reform), Béal Déirg Youth Club (awarded E5000 under the AIB Better Ireland Programme to purchase items of youth equipment) Comhlucht Pobail Bhéal Deirg Teo (secured E24,464 from The Department of Community, Rural and Gaeltacht Affairs to repair three bog roads in the area) and Bantracht Dún Chaocháin (granted E2,500 by The Department of Community, Rural and Gaeltacht Affairs to purchase items of kitchen equipement). Má tá spéis agat a bheith i do bhall ar an gcomharchumann agus ionchar níos mó a bheith agat ar chúrsaí forbartha na háite déan teangmháil le Treasa le haghaidh tuilleadh eolais. If you would like to become a member of the comharchumann and have a greater input into the overall development of the area please contact Treasa for further information. Cuireadh Cumann Gníomhaíochta Aosach Chill Chomáin ar bun i 1998 agus í mar phríomhaidhm aige dul i ngleic le neamhionannas, easpa seirbhísí agus deacrachtaí teacht ar sheirbhísí aosaigh i bparóiste Chill Chomáin sa gcaoi is go bhfeabhsófaí caighdeán maireachtála an spriocghrúpa seo. I gceantar iargúlta tuaithe mar seo airíonn go leor seandaoine scoite amach agus tá an-thabhacht ag baint lena dteangmháil le baill an choiste a thugann cuairt orthu ina dtithe féin. Bailítear na seandaoine óna dtithe chuile Mháirt agus iompraitear chomh fada le ionad pobail Ghleann na Muaidhe iad, áit a n-eagraítear imeachtaí éagsúla mar aclaíocht éadrom, ceirdeanna, ceol agus amhranaíocht. Eagraítear turasanna lae chomh maith i gcomhar le Clár Forbartha Áitiúil Iorrais agus go dáta thug an grúpa cuairt ar Ionad an Athar Peyton, Mainistir Mhaigh Eo, Ionad Oidhreachta Deirbhile ar an Eachléim agus Teach na bPaidreacha in Acaill. B’iontach an deis cuid de na turasanna seo bualadh le grúpaí eile aosaigh. Imeachtaí bliana is ea iad cóisir na Nollag agus an turas go Cnoc Mhuire. Tá tabhacht ar leith le cúrsaí sábháilteachta i saol na naosach, go mórmhór iad siúd atá ina gcónaí leo féin. Le dul i ngleic leis seo cuireann an coiste eolas praiticiúil agus trealaimh mar ghutháin speisialta, soilse céadfaigh arl. ar fáil. Tá sé i gceist ag an gcumann seirbhísí breise a sholáthar amach anseo mar ghruagaireacht, eolas faoi chearta, bia-eolaíocht agus cothú. Tá an coiste go mór faoi chomaoin ag Bord Sláinte an Iarthair, Údarás na Gaeltachta, Clár Forbartha Áitiúil Iorrais, An Roinn Gnóthaí Pobail, Tuaithe agus Gaeltachta, Coiste Gairmoideachais Condae Mhaigh Eo, Enterprise Oil, An Crannchur Náisiúnta agus Cumann na gCathaoireacha Rotha Iorrais, a chuireann módh taistil ar fáil faoi Chlár Taistil Tuaithe. D’éirigh thar cionn le cóisir na Nollag a eagraíodh ar an 8ú Nollaig seo caite. Suas le ceithre scór duine aosach a bhí i láthair agus bhaineadar an-taitneamh as. Ba mhaith leis an gcoiste buíochas mór a ghlacadh leis an Athair Ó Raghallaigh, an t-Athair Ó Nailín agus an t-Athair Déaglan Mac Conghamhna as an Aifreann a cheiliúradh, le Rosaleen Lally agus a foireann a chuir béile breá ar fáil, Na Duets Tommy agus Kathleen i gcomhluadar Vincent Mc Grath le haghaidh an cheoil, Cleamairí Bhéal an Mhuirthead agus chuile dhuine a thairg duaiseanna nó a chuidigh ar aon bhealach. Guíonn muid athbhliain faoi sheán agus faoi mhaise oraibh uilig. Set up in 1998, the Kilcommon Activity for the Elderly Group’s main objective is to address and overcome issues relating to inequality, inaccessibility and deficiency of services for elderly people in the parish of Kilcommon with a view to improving their quality of life. In what is a peripheral rural area many elderly people feel isolated and value their contact with members of the committee who visit them in the comfort of their own homes and provide a vital link with the outside world. The elderly are also collected from their homes every Tuesday and transported to the community centre in Gleann na Muaidhe to partake in various activities including light exercise, crafts, music and sing song. Day trips are also organised in conjunction with Erris LDP and to date the group has visited the Fr. Peyton Centre in Attymass, Mayo Abbey, Ionad Deirbhile Heritage Centre in Eachléim and the House of Prayer in Achill . Some of these trips have given the group the opportunity to meet with other elderly activity groups. Annual events include the Christmas party and a trip to Knock. The issue of safety is an important one in the lives of elderly people particularly those living alone. To help address this the committee provides practical information and equipment such as pendant phones, sensor lights etc. Future plans include the provision of additional services such as hairdressing, reflexology, entitlement awareness, diet and nutrition. The group would like to acknowledge the assistance received to date from the Western Health Board, Údarás na Gaeltachta, Erris LDP, The Department of Rural, Community and Gaeltacht Affairs, Mayo VEC, Enterprise Oil, National Lottery Funding and the Erris Wheelchair Association which provides transport to most events through the Rural Transport Initiative. The annual Christmas party on 8 th December last, which was attended by up to eighty senior citizens, proved to be a great success. The committee would like to thank Fr Reilly, Fr Nallen and an tAthair Déaglan Mac Conghamhna who celebrated mass, Rosaleen Lally and her team for a wonderful meal, The Duets Tommy and Kathleen accompanied by Vincent Mc Grath who provided the entertainment, the Belmullet Strawboys and all who donated spot prizes or helped in any way. We would like to wish everyone a happy and healthy new year. Ábhar é cúraim leanaí atá go mór i mbéal an phobail i láthair na huaire. Ar an gcaoi seo tá an t-ádh ar thuismitheoirí agus ar pháistí i nGleann na Muaidhe agus sa cheantar máguaird go bhfuil fáil acu ar áis chúraim leanaí nua-tógtha ard-chaigdeánach. Seirbhís réamhscoile pobail í Naíonra Ghleann na Muaidhe a cuireadh ar bun i mí Deireadh Fómhair 2000. Sí an príomh- aidhm atá aige ná cabhrú le forbairt iomlán an pháiste a chur chun cinn agus ag an am céanna deis a thabhairt don pháiste óg an Ghaeilge a shealbhú go nadúrtha trí mhodh an t-súgartha. Bíonn an t-seirbhís oscailte trí huaire a’ chloig go laethúil ó Luan go hAoine, áit a gcuirtear clár imeachtaí atá spraoiúil agus spreagúil ar fáil do pháistí san aoisghrúpa 3 go 5 bl. I measc na ngníomhaíochtaí tá imeachtaí fisiciúla, súgradh le gaineamh agus uisce, cluichí tógála agus samhlaíochta, ealaíon, ceardaíocht, scéalta, staidear timpeallachta maraon le hamhráin, rannta, scéalta agus damhsa. Foghlaimíonn na páistí trí mhodh an t-súgartha agus déanann said dul chun cinn gan aon bhrú faoi chúram foireann dhúthrachtach. Ba chéim mhór chun cinn i bhforbairt na seirbhíse oscailt an ionaid nua cúraim leanaí ar an 23ú Meán Fómhair seo caite. Ba mhaith leis an gcoiste bainistíochta buíochas a ghlacadh leis na daoine seo leanas a chuidigh go mór chun an togra a thabhairt chun críche : Mná Ghleann na Muaidhe Teo, Comhar Dún Chaochain Teo, Seosamh agus Máire Ó Muilligh, Bríd Uí Lionaird (Forbairt Naíonraí Teo), an ailtire Ken Armstrong (Seirbhísí Ailtireachta Armstrong Reape), an conraitheoir Kieran Mc Donnell agus Údarás na Gaeltachta. Fuair an togra seo airgeadú ó Rialtas na hÉireann agus páirt-airgeadú ón Aontas Eorpach faoin bPlean Forbartha Náisiúnta 2000 - 2006 tríd an gClár Comhdheiseanna do Chúram Leanaí de chuid na Roinne Dlí, Cirt, Comhionannais agus Athchóirithe Dlí. Quality and affordable childcare is an issue very much in the news at the moment. In this regard the parents and children in Gleann na Muaidhe and its hinterland are very fortunate to have access to a newly-built well-equipped childcare facility. Set up in October 2000, Naíonra Ghleann na Muaidhe is a community run Irish pre-school service. Its main aim is to promote the total development of the child, while at the same time giving him/her the opportunity of acquiring Irish naturally through the medium of play. The service operates for three hours daily from Monday to Friday where children in the 3 to 5 year age group enjoy a broad and stimulating programme of activity. This includes physical activity, sand and water play, construction and imaginative play, arts, crafts, nature study as well as songs, rhymes, stories and dance. Children learn through play and progress naturally at their own pace under the guidance of a dedicated team of staff. The 23 rd of September last marked another step forward in the development of the service when children and staff moved into the new purpose-built facility. The naíonra committee would like to thank the following for helping to bring the project to fruition : The Glenamoy Womens Group Ltd., Comhar Dún Chaocháin Teo, Joe and Mary Mills, Bríd Uí Lionaird (Forbairt Naíonraí Teo), Architect Ken Armstrong (Armstrong Reape Architectural Services), the contractor Kieran Mc Donnell Construction Ltd. and Údarás na Gaeltachta. This project received funding from the Irish Government and was part-financed by the European Structural Funds under the National Development Plan 2000 - 2006 through the Equal Opportunities Childcare Programme of the Department of Justice, Equality and Law Reform. Ar chuireadh ón gcoiste rinne Peadar Brick, Nóirín Uí Dhonnacha agus Antaine Mac Cormaic, ionadaí ó Chlub Gan Ainm, cuir i láthair sa Seanscoil i gCeathrú Thaidhg ar an 6ú Nollaig seo caite ar struchtúr, aidhmeanna agus imeachtaí an chlub. Is eagraíocht dheonach óige í Club Gan Ainm a bunaíodh sa bhliain 1978 le himeachtaí agus caitheamh aimsire a chur ar fáil do dhaoine óga san aois ghrúpa ó 15 - 18 bliain d’aois mar mhalairt ar an alcól, an teach tábhairne agus gach a mbaineann leis. Tá imní mhór le scaitheamh faoin ólachán i measc dhéagóirí na tíre. Ní gan chúis an imní sin agus sí aidhm an chlub ná dul i ngleic leis an bhfadhb go dearfach. Glacann an Club Gan Ainm leis go bhfuil sé de cheart ag duine a bheith ag ól nó gan a bheith ag ól, ach déantar iarracht slí mhaireachtála atá soar ó thionchar an alcóil a léiriú ar na bealaí seo a leanas (a) Malairt caitheamh aimsire agus imeachtaí sóisialta soar ó alcól a chur ar fáil do dhaoine óga agus a léiriú gur féidir taitneamh, spraoi agus spóirt a bhaint as imeachtaí gan alcól ná drugaí a thógáil agus (b) Dearcadh freagrach i leith an ólacháin a chur chun cinn. Cuirtear imeachtaí éagsúla ar fáil de réir éilimh mar shampla dioscóanna, damhsaí, cóisir, comórtais agus turais. Bíonn réimse maith deochanna nach bhfuil aon alcól iontu ar fáil ag na himeachtaí sóisialta seo. Cuirtear béim ar ócáid thaitneamhach spraoiúil agus cáirdiúil. Is é seo leanas struchtúr na hEagraíochta:- Coiste daoine fásta mar choiste stiúrtha, grúpa buachaillí agus cailíní a oibríonn mar óstaigh agus mar fháilteóirí agus daoine óga eile as an gceantar a bhaineann leas as seirbhísí an Chlub. At the invitation of the committee Peadar Brick, Nóirín Uí Dhonnacha and Antaine Mac Cormaic, representing Club Gan Ainm , gave a presentation on the structure, aims and activities of the organisation in the Seanscoil, Ceathrú Thaidhg on December 6 th last. The No Name Club is a voluntary youth organisation which was founded in 1978 to provide social and recreational activities for young people in the 15 to 18 year age group as an alternative to alcohol, the pub culture and everything associated with it. The abuse of alcohol among the nation’s youth is a worrying trend and the aim of the club is to tackle this problem in a positive manner. The No Name Club accepts that it is the right of every individual to drink or to abstain from drinking. However it seeks to demonstrate a lifestyle free from the effects of alcohol in the following ways (a) To provide young people with alternative recreational and social activities which are alcohol free and to demonstrate a lifestyle in which the use of alcohol or drugs is seen to be unnecessary to the enjoyment of a good social life and (b) To promote a responsible attitude towards alcohol. Various activities are organised depending on demand for example discos, dances, parties, competitions and trips. A variety of alcohol-free drinks are available at these social occasions. The emphasis is on enjoyment, fun and friendship. The Structure of the Organisation is as follows:- A steering committee of adults, a group of boys and girls who act as hosts and young people in the area who benefit from the services of the Club. Is eagraíocht nua Óige na Gaeltachta Teo a bhfuil mar aidhm aige seirbhís a chur ar fáil do na hógeagraíochtaí Gaeltachta as seo amach. Naonúr atá ar an mbord stiúrtha agus chomh maith leis sin beidh trí choiste réigiúnach ag an gcomhlacht – Tír Chonaill, Connacht/Laighean agus Cúige Mumhan. Beidh aird ar leith á thabhairt ag an eagraíocht ar mholtaí an Achta um Obair Ógra (2001) agus An Plean Forbartha Náisiúnta d’Obair Óige chomh maith le moltaí thuarascáil Ógshaothar na Gaeltachta a foilsíodh i 2003. Fostófar comhordaitheoir agus triúr oifigeach réigiúnach óige chun seirbhís óige a fhorbairt agus a fheidhmiú le freastal ar riachtanaisí na hóige ins na réigiúin éagsúla. Leagfar béim ar leith ar sholáthar bunstruchtúir don óige ar nós ionaid eolais, agus oiliúint agus cáilíochtaí in obair óige. Óige na Gaeltachta Teo is a newly-formed organisation which aims to provide a service to youth organisations in Gaeltacht areas. Nine members make up the steering committee and the company will also comprise three regional committees – in Donegal, Connacht/Leinster and Munster . The organisation will focus primarily on the recommendations of the Youth Work Act (2001), The National Development Plan for Youthwork as well as those of the Ógshaothar na Gaeltachta report which was published in 2003. A co-ordinator and three regional youth workers will be employed to develop and implement a youth service to meet the needs of young people in the various regions. Particular emphasis will be placed on the provision of a basic structure for youth such as information offices and training and qualification in youth work. Sé fhoireann a bhí san iomaíocht i gcomórtas tráth na gceist bord a eagraíodh do dhéagóirí san aoisghrúpa 12 go 17 bl. d’aois sa Seanscoil ar an 9ú Nollag. An fhoireann ‘Nóiníní’ a bhí sa chéad áit, ‘Foireann’ agus ‘Triúr Chailín agus Buachaill’ ar chomhscór sa dara háit agus ‘Foireann Gan Ainm’ sa tríú háit. Six teams competed in the table quiz which was organised in the Seanscoil on 9 th December for teenagers (12 – 17 years). First prize was won by the team ‘Nóiníní’ followed by ‘Foireann’ and‘Triúr Chailín agus Buachaill’ in joint second and ‘Foireann Gan Ainm’ in third place. Eagraítear ranganna damhsa traidisiúnta Gaelach le freastal ar óige na háite chuile oíche Chéadaoine sa Seanscoil. Traditional Irish dancing classes for the youth of the area are held in the Seanscoil every Wednesday evening. Cuireadh Bantracht Dhún Chaocháin, grúpa deonach na mban, ar bun i mí Márta 1996 agus í mar aidhm aige dul i ngleic leis an nganntanas seirbhísí agus deiseanna a bhí ar fáil ag mná i gceantar Dhún Chaocháin tré deiseanna shóisialta agus oiliúna a aimsiú le freastal ar riachtanaisí an ghrúpa. Agus an clár gníomhaíochtaí á chur i bhfeidhim táthar ag súil go bhfeabhsófaí scileanna, féiniúlacht agus neamhspleachás an spriocghrúpa sainiúil seo agus go ngríosofaí a mball le guth níos láidre a bheith acu sa bpobal. Seo leanas cuid de na himeachtaí a d’eagraigh an grúpa i rith 2005 (i) cuireadh buffet agus soláistí ar fáil do na páistí sa pharóiste a bhí ag dul faoi láimh easpaig i mí Bealtaine agus don chéad chomaoineach i mí Meitheamh (bhí ard mholadh ag muintir na háite ar an iarracht) (ii) eagraíodh maidin caife i mí Márta le tacú le Daffodil Day. E251 a bailíodh i dtreo na cúise agus cuireadh an t-airgead chuig Cumann Ailt na hÉireann (iii) Ceannaíodh gréithe agus trealaimh cistine le cuidiú airgeadú (E2,500) na Roinne Gnóthaí Pobail, Tuaithe agus Gaeltachta faoi Chlár Deontais d’Eagraíochtaí Áitiúla Deonacha agus Pobail (iv) chuidigh baill an ghrúpa leis an bhfeachtas bailiúcháin airgid atá ar bun le costas deasúcháin teach a’ phobail Cheathrú Thaidhg a ghlanadh (v) ghlac baill an ghrúpa páirt i gcúrsa féin-forbartha, ranganna fuála agus ceardaíochta agus cúrsa garchabhrach. Bantracht Dhún Chaocháin, a voluntary women’s group, was set up in March 1996 having as its objective to address the lack of services and opportunities available to women in the Dún Chaocháin area by making provision for the social, training and adult education needs of the group. By carrying out its programme of activity it is hoped to improve the skills, identity and self-reliance of this specific group and to empower its members to have a stronger voice in the community. The following are some of the activities organised by the group in 2005 (i) a buffet and refreshments were prepared for the children in the parish being confirmed in May and also those who received first holy communion in June. These efforts were greatly appreciated by the community (ii) a coffee morning in aid of Daffodil Day was organised in March with the proceeds of E251 donated to the Irish Cancer Society (iii) items of kitchen equipment were purchased with the assistance of funding (E2,500) received from The Department of Community, Rural and Gaeltacht Affairs (iv) members of the group assisted in the fundraising efforts in relation to the repair of Ceathrú Thaidhg church (v) members of the group took part in personal development courses, sewing and craft classes and a first aid course. Tionscnamh idirnáisiúnta nualach dealbhóireachta is ea Spirit of Place a dhíríonn ar cheantracha ar fud an domhain atá iargúlta agus neamhmhillte agus ina bhfuil oidhreacht shaibhir chultúrtha agus staire ar fáil. Sa bhliain 2002 a thosaigh an ailtire Travis Price ag obair ar an gcéad togra sa sraith le scolairí ailtireachta ó Ollscoil Chaitiliceach Mheiriceá. Tar éis dóibh tograí móra dealbhóireachta a fhorbairt ar fud an domhain, sna Stáit Aontaithe, i gCeanada, Peiriú, san Iodáil agus i Neipeal, d’aimsigh an Spirit of Place a mhacsamhail spioradálta anseo i gCondae Mhaigh Eo. Ar an 6ú Iúil seo caite nochtadh dealbh Clann Lir, atá lonnaithe ar bharr ailt ag na Príosúin i gCill a’ Ghallagáin, don chéad uair. Agus é ag beannú an saothar rinne an tAthair Kevin Hegarty tagairt do mhuintir Iorrais atá scaipthe ar fud an domhain. Comhphairtíocht oibre atá sa togra idir Ollscoil Chaitiliceach Mheiriceá, Údarás na Gaeltachta, Comhairle Chondae Mhaigh Eo agus an pobal áitiúil, a thairg an suíomh. Faigheann na tograí seo urraíocht agus aitheantas ón eagraíocht chailiúil National Geographic Society. The internationally renowned Spirit of Place outdoor sculpture project centres on culturally distinct, historic, unspoilt and isolated regions around the world. In 2002 architect Travis Price, assisted by architectural students from the Catholic University of America , started work on the first project in the series. After having developed major sculpture projects throughout the world, in America, Canada, Peru, Italy and Nepal, the Spirit of Place found its spiritual counterpart here in County Mayo. On 6 th July last the official unveiling of the Children of Lir sculpture, in its clifftop location at Na Príosúin in Cill a’ Ghallagáin, took place. While performing the official blessing Fr Kevin Hegarty dedicated the sculpture to the people of Erris who are scattered throughout the world. The project is a partnership between the Catholic University of America , Údarás na Gaeltachta, Mayo County Council and the local community, who donated the site. These projects also receive sponsorship and recognition from the National Geographic Society. Thosaigh Scéim Shóisialta Tuaithe Chill Chomáin, atá dá reachtáil ag Cumann Lúthchleas Gael Chill Chomáin faoi scáth Údarás na Gaeltachta, i mí na Samhna 2004. Is iad aidhmeanna na scéime ná (i) tacaíocht ioncaim a chur ar fáil d’fheirmeoirí agus d’iascairí atá ag fáil íocaíochtaí leasa shóisialaigh go fadthréimhseach agus (ii) seirbhísí áirithe chun leas phobal tuaithe a shaothrú. Cén cineál obair atá i gceist? Tá an scéim dírithe, go príomha, ar fheirmeoirí a bhfuil íocaíochtaí fadtréimhseacha leasa shóisialaigh a bhfáil acu agus iascairí ar ioncaim íseal. Ní foláir do dhuine a bheith ag fáil cúnamh feirmeoireachta nó tréaduimhir a bheith aige agus ceann de na híocaíochtaí fadtréimhseacha leasa shóisialaigh seo a leanas : cúnamh dífhostaíochta, sochar dífhostaíochta, dá mbeifí ar Scéim Fhostaíochta Pobail roimhe sin nó liuntas míchumais. Beidh céile atá i dtuilleamaí duine atá inglactha cáilithe freisin le bheith páirteach sa scéim mar mhalartú, is é sin, in áit a chéile a bhfuil an tréaduimhir leithdháilte air. 19.5 huaire a’ chloig sa tseachtain atá i gceist, atá solúbtha ag brath ar obair feirme nó iascaireachta. 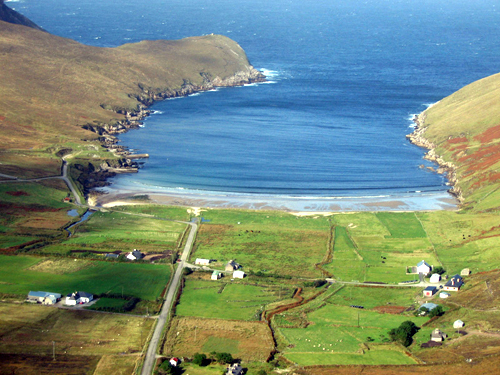 The Cill Chomáin Rural Social Scheme, which is managed by Cumann Lúthchleas Gael Chill Chomáin under the auspices of Údarás na Gaeltachta, commenced in November 2004. The aim of the scheme is (i) to provide income support for farmers and fishermen who are currently in receipt of long-term social welfare payments and (ii) to provide certain services of benefit to rural communities. Who is eligible to participate in the scheme? The scheme is targeted primarily at farmers who are currently in receipt of long-term social welfare payments and low income fishermen. To be eligible to participate you must be in receipt of Farm Assist or have a herd number and be in receipt of one of the following long-term social welfare payments : unemployment assistance, unemployment benefit, if previously on a community employment scheme or disability allowance. Should you be deemed eligible under the above criteria but you youself do not wish to participate in the scheme, your dependent spouse can take the available place as long as neither of you are participating in any other similar scheme. 19.5 hours per week are involved and these hours are flexible to accommodate farm and fishing work. Tharla ócáid fíor-speisialta i gCeathrú Thaidhg ar an 27ú Lúnasa seo caite nuair a thug Ambasadóir na hInde, An tUasal Saurabh Kumar, agus a bhean chéile cuairt neamhoifigiúil ar an Seanscoil. D’eascraigh an chuairt as cruinniú a bhí ag beirt ionadaí ó Chomhar Dún Chaocháin Teo leis an Ambasadóir ag ocáid seolta na Gluaiseachta Beo (www.gaeltacht.info) i dTeach an Ard Mhéara. Léirigh an tUasal Kumar spéis faoi leith sa naíonra agus sa t-seirbhís iar-scoile, seirbhísí cúraim leanaí a chuireann an grúpa ar fáil do pháistí an cheantair. Agus é ag fágáil dó bhronn sé leabhair agus dlúthdhioscanna, a léiríonn ealaín agus cultúr na hInde, ar an gcoiste i gcuimhne na h-ocáide. The community of Ceathrú Thaidhg received two very special guests on August 27 th last when the Indian Ambassador His Excellency Saurabh Kumar, accompanied by his wife, paid an unofficial visit to the Seanscoil. The event stemmed from an earlier meeting between the Ambassador and two representatives of Comhar Dún Chaocháin Teo at the launch of the Living Communities Movement (www.gaeltacht.info) in the Mansion House. The Ambassador took a special interest in the pre-school and after-school childcare facilities provided by the group, and presented the committee with a selection of books and cds illustrating Indian art and culture to mark the special event. Beo’ agus í mar aidhm aige próifil an cheantair mar tháirge nó mar cheann scríbe turasóireachta a ardú i measc tíortha Eorpacha (An Fhrainc agus an Ghearmáin go mórmhór), líon na dturasóirí a mhéadú agus ar an gcaoi sin bonneagar sóisialta, cultúrtha agus eacnamaíochta na háite a neartú. Is féidir teach ar an suíomh ag www.gaeltacht.info. A comprehensive website forms an important aspect of the Living Communities Movement the aim of which is to raise the profile of the area as a tourism product or destination particularly among European countries such as France and Germany, increase the number of visiting tourists and revitalise the area socially, culturally and economically. The new website can be viewed at www.gaeltacht.info. Tionóladh cruinniú cinnbliana Chomhar Dún Chaocháin Teo sa Seanscoil ar an 29ú Lunasa 05, an chéad chruinniú ó cuireadh an eagraíocht ar bun i mí Márta 1995 nach raibh an Cathaoirleach Micheál ó Seighin inann freastal air. Tá Micheál mar dhuine de Chúigear Ros Dumhach a chaith 94 lá i bpríosúin Chnoc na Seimre tar éis dóibh seasamh a thógáil in aghaidh an chomhlachta ola agus gáis Shell agus a pairtneirí Statoil agus Marathon , atá i mbun togra Gháis na Coiribe a fhorbairt. Tugadh aitheantas speisialta don obair fhorbartha atá déanta ag Micheál sa cheantar le beagnach dhá scór bliain anuas. Rinne an bainisteoir cuir i láthair ar obair na bliana agus ainmníodh na hoifigí seo leanas don bhliain atá amach romhainn – Séamus Ó Murchú (Cathaoirleach), Seán Mac Aindriú (Rúnaí) agus Máire Cáit Uí Mhurchú (Cisteoir). The Annual General Meeting of Comhar Dún Chaocháin Teo, which was held in the Seanscoil on 29 th August last, marked the first time since the foundation of the organisation in March 1995 that the then Chairman Micheál Ó Seighin could not be in attendance. Micheál is one of the five men known as the Rossport Five who spent 94 days in Cloverhill Prison as a result of the stand they have taken against the oil and gas corporate Shell and its partners Statoil and Marathon, the developers of the Corrib Gas project. Micheál’s contribution to the development of the local community over the last twenty years was widely acknowledged by those present. The manager gave an account of the projects undertaken in 2004/05 and the following officers were elected for the forthcoming year : Séamus Ó Murchú (Cathaoirleach), Seán Mac Aindriú (Rúnaí) agus Máire Cáit Uí Mhurchú (Cisteoir). Bhunaigh An tAire Gnóthaí Pobail, Tuaithe agus Gaeltachta, Éamon Ó Cúiv, Comhairle na Tuaithe chun díriú ar thrí ghné tosaíochta : rochtain na tuaithe, cód tuaithe a fhorbairt agus straitéis náisiúnta um áineas tuithe a fhorbairt. Sí aidhm na straitéise ná fís aontaithe inghlactha a chur i bhfeidhm don áineas tuaithe maraon le creatlach chun an straitéis a ghníomhú agus a fheidhmiú sna blianta atá romhainn. Éamon Ó Cúiv, Minister for Community, Rural and Gaeltacht Affairs established Comhairle na Tuaithe to address three priority issues : access to the countryside, the development of a countryside code and the development of a National Countryside Recreation Strategy. The objective of the strategy is to put in place an accepted and agreed vision for countryside recreation and a blueprint for action and implementation of that strategy into the future. Cuireadh suas comharthaí cloiche ag an Scoil Náisiúnta, ag teach a’ phobail (Séipéal Mhuire Gan Smál) agus ag an eastát tithíochta (Cois Abhainn) i gCeathrú Thaidhg. Ardaíodh agus glanadh comharthaí cloiche na mbailte fearainn i gceantar Dhún Chaocháin le cuidiú na Scéime Shóisialta Tuaithe. Stone signage was erected at the national school (An Scoil Naisiunta), the church (Séipéal Mhuire Gan Smál) and the housing estate (Cois Abhainn) in Ceathrú Thaidhg. The stone signs, inscribed with the townland names in the Dún Chaocháin area, were also enhanced with the assistance of the Rural Social Scheme. Mar chuid den obair athnuachana baile leagadh síos cosán idir scoil náisiúnta Cheathrú Thaidhg agus an bosca ghutháin. Cuideoidh sé seo mór le scolairí an Choláiste Samhraidh agus na seirbhíse iar-scoile agus iad ag déanamh a mbealach idir an scoil agus an tSeanscoil le haghaidh imeachtaí éagsúla. Cuireadh plean oibre le haghaidh 2006 chuig An Roinn Gnóthaí Pobail, Tuaithe agus Gaeltachta ina mbeidh na hoibreacha seo leanas san áireamh :- cosán thart ar imeall an Triantán, obair feabhsúcháin ar an áis picnice i gCeathrú na gCloch arl. Tá na hoibreacha seo páirt-mhaoinithe ag An Roinn Gnóthaí Pobail, Tuaithe agus Gaeltachta i gcomhar le Comhairle Chondae Mhaigh Eo. Recent village enhancement works undertaken include the laying down of a footpath between Ceathrú Thaidhg national school and the Seanscoil. This path will be of great benefit to Summer College students and those attending the after-school service as they make their way from the school to the Seanscoil for various activities. A workplan for 2006 has been submitted to The Department of Community, Rural and Gaeltacht Affairs incorporating the following works :- a footpath bordering the Triantán, improving the picnic area in Ceathrú na gCloch etc. These works are part-funded by the The Department of Community, Rural and Gaeltacht Affairs and Mayo County Council. Ní inniú ná inné a cuireadh iarratas chuig An Roinn Gnóthaí Pobail, Tuaithe agus Gaeltachta chun Bóthar a’ Phríosúin a dheasú. Mar sin cuireann an coiste fáilte roimh an obair a rinneadh ar an mbóthar go deiridh i. dromchla tarra agus forbairt áit pháirceála ag cloigeann an bhóthair. Bóthar tábhachtach do thurasóirí, a théann amach i dtreo na hailt agus chuig dealbh tíre Clann Lir, é seo. Following longterm representations to The Department of Community, Rural and Gaeltacht Affairs to repair Bóthar a’ Phríosúin, the committee greatly welcome the improvement works recently carried out i.e. tarmac surfacing and the development of a parking area at its northern end. This is an important road for tourists accessing the cliffs and the Children of Lir sculpture. Rinne Fergal Ó Coileáin ón eagras náisiúnta Comhluadar cuir i láthair ar ‘Ról na Gaeilge agus an dátheangachas i saol clainne an lae inniú’ san ionad nua cúraim leanaí i nGleann na Muaidhe ar an 8ú Samhain seo caite. Bhí an ócáid dírithe ar thuismitheoirí áitiúla a bhfuil páistí óga acu a mba mhaith leo a gclanna a thógáil le Gaeilge. Fergal Ó Coileáin, from the national organisation Comhluadar, gave a presentation in the new childcare centre in Gleann na Muaidhe on ‘The role of the Irish language and bilingualism in the life of today’s family’on November 8 th last. The presentation was targeted at local parents with young children who would like to give them an opportunity to acquire Irish. Tá mná tí a choinníonn scolairí choláistí Gaeilge le hardú deontais a fháil i 2006. Ardóidh an ráta a íocfaidh An Roinn Gnóthaí Pobail, Tuaithe agus Gaeltachta ó E9 go dtí E9.50 in aghaidh an lae. De réir an socrú atá déanta idir an Roinn agus na Coláistí Gaeilge Samhraidh, íocann na coláistí íosmhéid de E1.20 ar gach E1 a íocann an Roinn faoin scéim. Tugann an scéim deis do scolairí ó lasmuigh den Ghaeltacht taithí agus blas a fháil ar Ghaeilge nadúrtha labhartha agus cuireann sé lena líofacht sa teanga. Mná tí who keep Irish Summer College students will receive an increase in payment in 2006. The rate paid by The Department of Community, Rural and Gaeltacht Affairs will increase from E9 to E9.50 per day. According to the arrangement made between the Department and the Irish Summer Colleges the college pays a minimum of E1.20 for every E1 paid by the Department under the scheme. The scheme affords students in non-Gaeltacht areas an opportunity to experience Irish as an everyday spoken language and helps to improve their fluency in the language. Eagraítear ranganna ciorcal comhrá do dhaoine fásta, le béim ar ghnáth chomhrá ag brath ar chumas na rannphairtithe, san ionad nua cúraim leanaí in aice leis an ionad pobail i nGleann na Muaidhe chuile Mháirt ag 7.00 i.n. Irish language classes for adults, with an emphasis on conversational Irish for different levels of ability, are organised in the new childcare centre beside the community centre in Gleann na Muaidhe every Tuesday at 7.00 p.m.
Tá eolas ar na foinsí éagsúla maoinithe do ghrúpaí pobail agus deonacha le fáil ar shuíomhanna idirlíne www.mayococo.ie nó www.mayocdb.ie ach an nasc Mayo 4 Funding a leanúint. Is togra páirtíochta é seo atá forbartha ag Comhairle Chondae Mhaigh Eo, Bord Forbartha Chondae Mhaigh Eo agus Fóram Pobail Chondae Mhaigh Eo. Information on the various sources of funding that are available to community and voluntary groups can be accessed by logging onto either www.mayococo.ie or www.mayocdb.ie and following the prominent link (Mayo 4 Funding website). This partnership initiative was developed by Mayo County Council, Mayo County Development Board and Mayo County Community Forum. D’fhógair An t-Aire Ealaíon, Spóirt agus Turasóireachta, Seán Ó Donnchú TD, an Clár Caipitil Spóirt do 2006, atá maoinithe ag an gCrannchur Náisiúnta, go deiridh. Déanfar tograí maidir le forbairt áiseanna spóirt agus áineasa aclaíochta ó eagrais spóirt, clubanna, grúpaí pobail arl a mheas do mhaoiniú faoin gClár, le béim speisialta ar fhorbairt áiseanna i gceantair faoi mhíbhuntáiste, de réir polasaí an Rialtais ar mhaithe le rannpháirtíocht sa spórt agus áineasa aclaíochta a mhéadú sna ceantair sin. Tá na foirmeacha iarratais, chomh maith le sonraí, treoirlínte agus coinníollacha an Chláir ar fáil ar shuíomh idirlíne na Roinne ag www.dast.gov.ie nó ar iarratas ríomhphoist go dtí sportsunit1@dast.gov.ie no ón Rannóg Caipitil Spóirt, An Roinn Ealaíon, Spóirt agus Turasóireachta, Foirgneamh Fhreidric, Sráid Freidric Theas, Baile Átha Cliath 2. Uimhir Gutháin (01) 631 3914 / 3930 / 3942. Tabhair faoi deara go gcaithfear na foirmeacha iarratais comhlánaithe a bheith faighte sa Rannóg Spóirt roimh an sprioc-am ag 5.00 iarnóin, Dé hAoine, 20 Eanáir 2006. John O’ Donoghue, Minister for Arts, Sport and Tourism recently announced the Sports Capital Programme for 2006, which is funded through the National Lottery. Projects seeking to develop sports facilities and exercise amenities from sporting organisations, clubs, community groups etc. will be assessed for funding under the Programme, with particular emphasis on the development of facilities in disadvantaged areas, in line with government policy to increase participation in sport and increase exercise facilities in those areas. Application forms as well as details, guidelines and the conditions of the Programme are available on the Department’s website www.dast.gov.ie or by e-mail sportsunit1@dast.gov.ie or from the Sports Capital Section, Department of Arts, Sport and Tourism, Frederick Building, Frederick Street South, Dublin 2. Telephone (01) 631 3914 / 3930 / 3942. Please note that completed application forms must reach the Department before 5.00 p.m. Friday 20 th January 2006 .